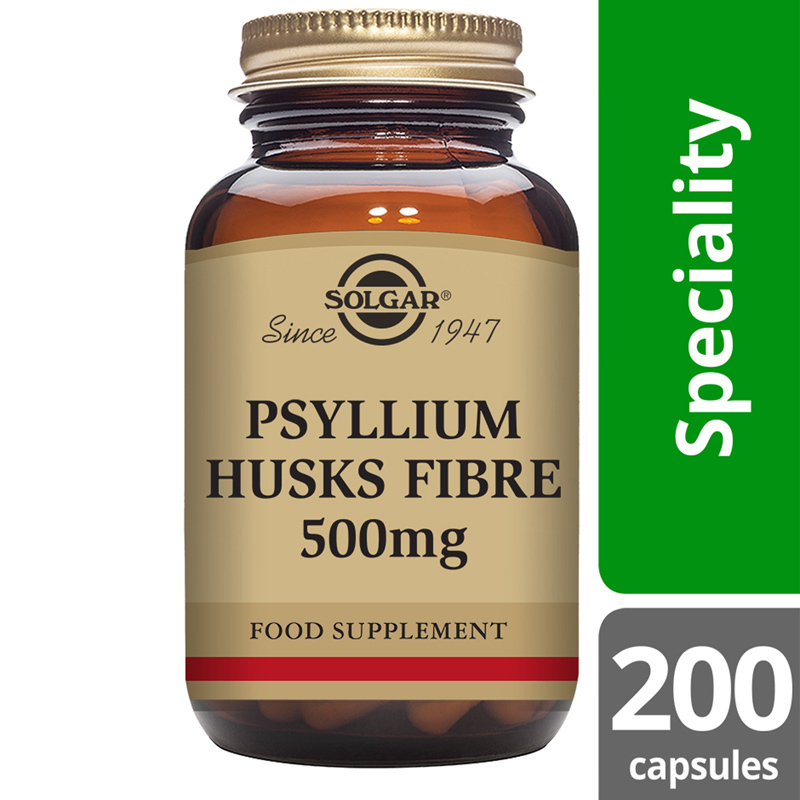 Solgar® Psyllium Husks Fibre is a soluble fibre offering a convenient and easy way to increase the amount of this important food group in our diet to help restore and maintain regularity. 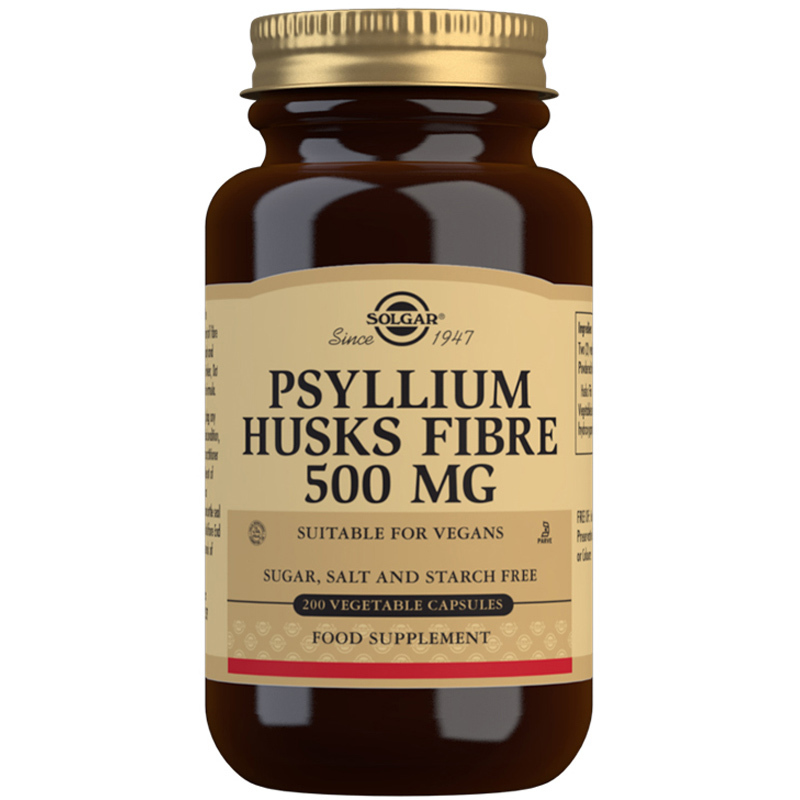 Psyllium husks, or isphagula, are mainly grown in the Middle East and are full of fibre. Fibre is found in soluble and insoluble forms. Insoluble fibre remains unchanged when passing through the intestines, whereas soluble fibres change and form a gel-like substance within the intestines. Once digested it draws water in from the colon and pushes out waste from the colon. Ingredients: Powdered Psyllium Husks Fibre, Vegetable Capsule Shell: hydroxypropylmethyl cellulose. Powdered Psyllium Husks Fibre, Vegetable Capsule Shell: hydroxypropylmethyl cellulose. As a food supplement for adults, two (2) Vegicaps daily with a minimum of 8oz. Of juice or water, or as directed by a healthcare practitioner.